Amo, Donde esta es la bosque? El mapa fue muy malo y morimos todos. Por favor, Dale mis saludos al cartógrafo. The highlight of my gaming career arrived yesterday afternoon when I (CINC) told Kevin (underling) to charge the guns. It was a glorious moment when I sent the message and his reply was "Are you mad" I replied "No I am very happy and will be happier when I see you taken them guns"
As I saw the reluctant victim of my revenge (i.e every battle we have ever played when Kevin was on the other side of me LOL) cross the filed towards the guns I thought this is a great day for me. You can't make this stuff up. He did a fine job along with SJ taking the frogy's guns away, which in my personal Custer view was the reason we won. Good job by all and as always tons fun even when my Austrian friend felt the need to spread me across the countryside, although he did not prevent me from capturing the town and winning the day for the Spanish. Last I heard was the whole French Army was running away from SJ and Pepe! I love playing the Russians. Here are a few pictures from Mike's decisive victory. The Vistula Legion comes calling. 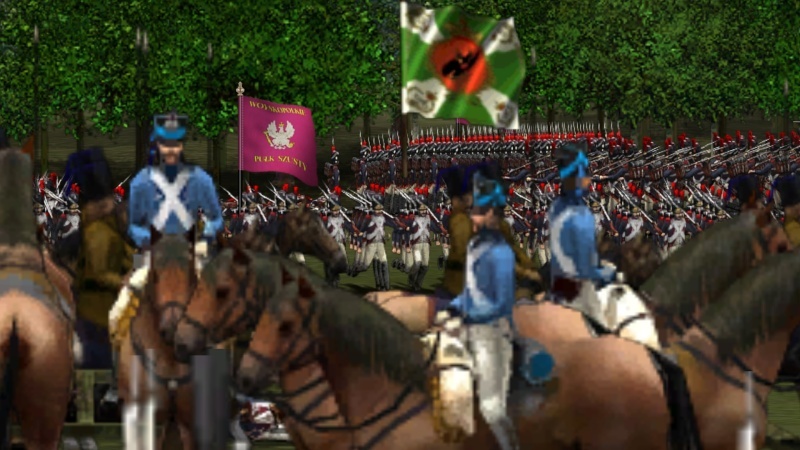 Roland's draguny seeing off the Vistula Legion. 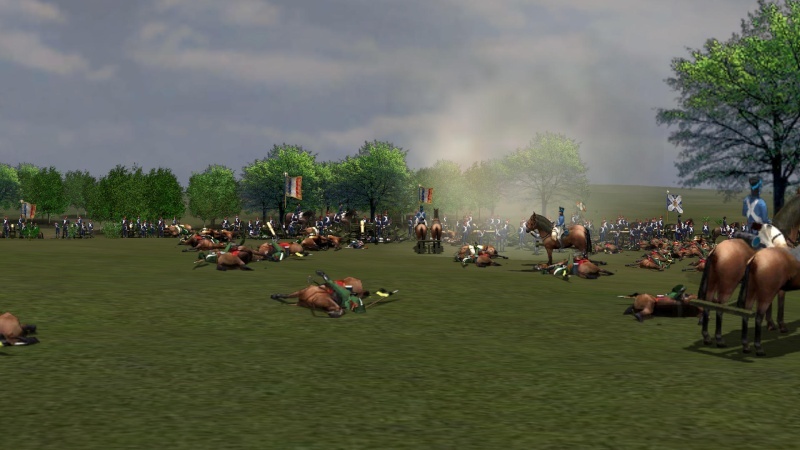 It was a bloodbath for the cavalry of both armies. Morsey just had to have these. It cost me 1,000 men. I am going to copy that pic and burn a copy and put it on my wall of Fame! LOL Nice pics Kevin!! well for once he picked on you, Kevin, to attack first... until now it has always been my honour to be the first to charge the guns! I intentionally saved you for the hammer move! I am finding that I need Allies whenever playing with or against Kevin. I hope I bought you with the glorious position I put you in yesterday! No-one mentions me saving the army's left flank against a rabid French division with a lone brigade of just 7 Sotnias of grotty Cossacks. Kevin - why do the Cossacks default to that unwieldy long thin skirmish line after they do stuff? And can the skirmish line be shortened and thickened up please? This Just in "Digby Saved the Flank"
You did a fine job Digby and I will take your word for it being a man of honor with no known Custer Faults within you. I dare say that Pepe is busy with Little Pepe's Lancer training and failed to pass on the info on your superb job of holding the flank against the biblical infestation of Frogs. I also noticed that. It was an error in unitglobal. I think the other Martin is at fault. Anyway it's fixed. A new version of the nappy mod and supplemental maps will be coming out soon. I've added the Cold Harbor map. I saw that the Cossacks seem quite happy to charge in that formation. I'm guessing it isn't a skirmish formation at all but some kind of line with errors? Thanks for the fix. 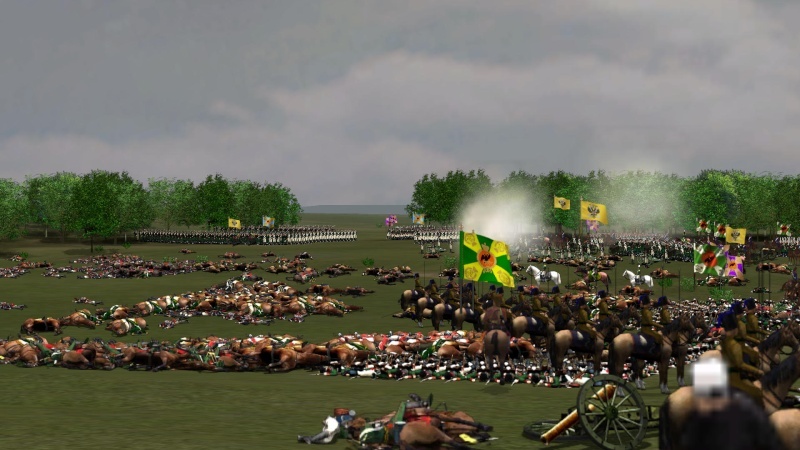 The cavalry skirmish formation has no benefits unlike the infantry version. Its just a carryover from the stock game. Its not used for anything other than to allow Martin J. to foster bewilderment among use poor players. 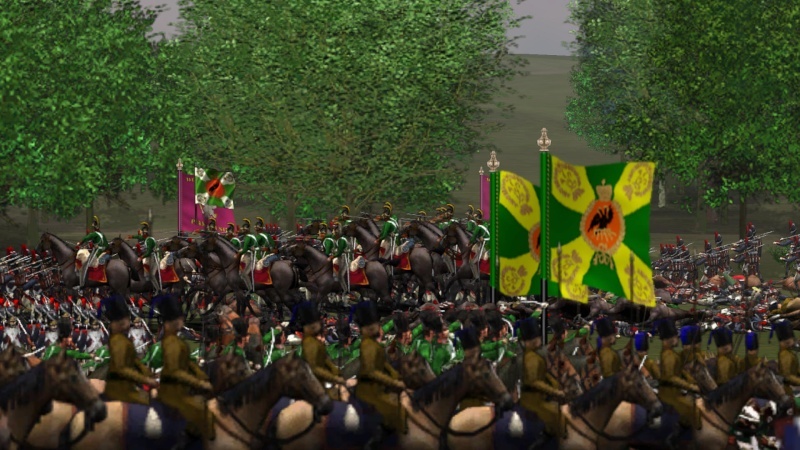 The best online Napoleonic resource I know of is the Napoleon Series. Its pretty high-brow and some serious academics write there. The site is HUGE and covers everything. I use it a lot for generals and other commanders names in the campaign. There's pages listing every single colonel of every single French regiment and what he did, his later ranks, wounds, fate, etc. Incredible stuff.